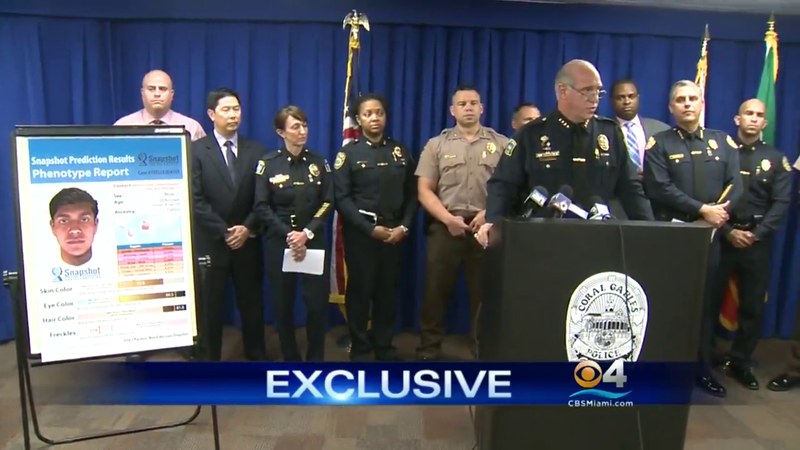 Reston, Va. — Parabon NanoLabs, Inc. (Parabon) was credited with producing a new Snapshot™ composite of the Miami-Dade County "Serial Creeper" during a televised news conference on 10 September 2015. Coral Gables Interim Police Chief Ed Hudak informed the media that the man wanted for spying, and in some cases sexually terrorizing women, is dangerous and must be apprehended. 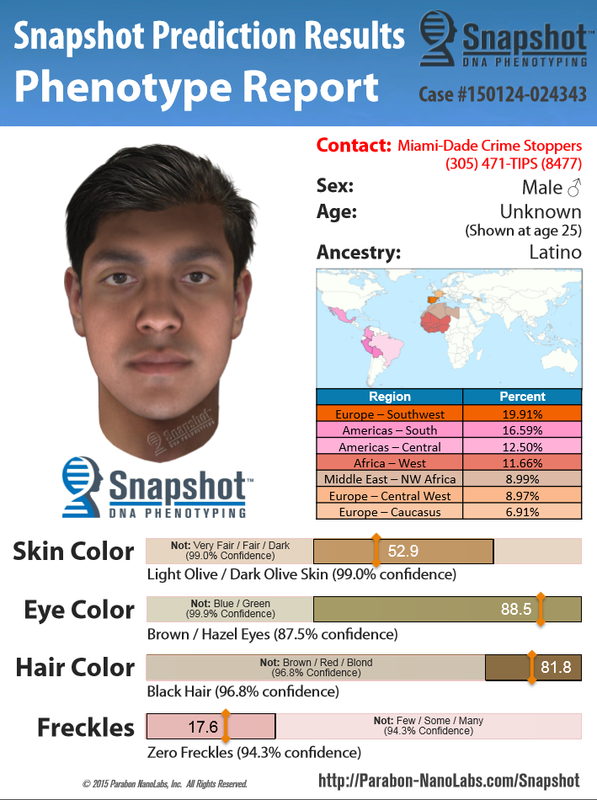 The Snapshot composite profile, produced from DNA samples collected at associated crime scenes, depicts the suspect as a man of Latino ancestry with olive skin, brown or hazel eyes and black hair. A Florida law enforcement profiler said the man might be soft-spoken, sexually immature, possibly steadily employed and a loner. The "Serial Creeper" is believed to be responsible for a minimum of 15 break-ins, and perhaps as many as 40, in Coral Gables, Miami, Miami-Dade and Miami Beach. The suspect is believed to be responsible for crimes dating back to 2013. Police said they've been able to forensically link at least one Coral Gables sexual battery case to two attacks that occurred in the city of Miami. Police believe the man, who started as a peeping tom, has become more brazen. Snapshot accurately predicts the physical appearance and ancestry of a DNA source. Unlike traditional DNA profiling, which treats DNA like a fingerprint for identity matching, Snapshot uses DNA as a genetic blueprint from which physical traits, such as facial structure, skin color, eye color, etc., can be deciphered. Parabon also recently announced a new suite of forensic art capabilities that can enhance Snapshot composites via age progression and accessorization when additional non-DNA information is available about a subject. Those with information in the case are asked to call the Miami-Dade Crime Stoppers at 1 (305) 471-TIPS. To read the complete "Serial Creeper" news article, see this CBS Miami report.